Along with our regular daily clean tech news coverage, CleanTechnica also produces in-depth reports on various aspects of clean energy and clean transport. One of the emerging technologies we cover that isn’t directly a clean tech innovation is blockchain, which promises to be a catalyst for innovation in the green economy in the very near future. Blockchain is probably most widely known to the public as “having something to do with cryptocurrency and Bitcoin, right?,” which is partially correct, but the technology itself has a wide range of applications, some of which will be crucial in the fields of distributed renewable energy, grid management and energy storage, and smart contracts, among others. IBM is a core member of the Hyperledger opensource group and a significant contributor to the opensource code base. Further, it hosts enterprise-scale Hyperledger Fabric on its IBM Cloud platform, both in public cloud test environments and in highly-secure dedicated Hyperledger environments. And it charges for it. Unlike most of the rest of the blockchain technologies, this isn’t roll-your-own opensource, but an enterprise component, hosted and managed by an enterprise service provider which is global in scope. But IBM understands the security that governments and corporation need and understands the sensitivity of data better than most organizations are capable of. And it understands it in most countries in the world. Right now, IBM and its Blockchain is somewhat a leader in the cleantech space, used by European utilities in proofs-of-concept on managing the electricity grid in Germany and the Netherlands and managing carbon markets in China. IBM’s Blockchain is also being used by just-out-of-stealth Xage to manage industrial IOT endpoint security with an initiative with grid heavyweight ABB underway. The architecture isn’t entirely clear as initial public information indicates that there are also Ethereum components in the mix. NEO is an emerging platform designed from the ground up for regulatory compliance. This means that it is solving for the challenges regulatory compliance brings to blockchains and cryptocurrencies. This is a major part of the reason why ProjectICO has shifted to it and off of Ethereum for US initial coin offerings. NEO is also very interesting in that it arguably has the most flexible settlement mechanism of any of the current crop of offerings. NEO smart contracts can resolve using its own NEO coins or hook to 3rd party payment solutions. This gets rid of a number of the challenges of the smart contract escrow model, allowing a greater variety of uses. I’d argue that this is more flexible than the Hyperledger model, which solely uses 3rd party and the Ripple model which doesn’t do smart contracts at all. It’s intended to be highly performant as well, using a delegated proof-of-stake solution which is much like Ethereum Casper’s, at least externally. The combination makes this a very promising blockchain platform. It’s the closest to a Swiss army knife and with Ripple and Hyperledger, grounded in business and regulatory reality, not a Libertarian fever dream of an unregulated world. NEO does have three challenges however. It is a Chinese national company, which means that it’s quite probable that it would not be in compliance with federal procurement policies as a part of a solution. If the target use is federal in the USA or Canada at minimum, NEO need not apply. And of course the core documentation and technical team are much better if you read and speak Mandarin, but there are high-quality translations and translators. The second concern is that it is at present a very expensive platform for general use with high transaction costs, memory costs, and distributed application costs, which is likely reasonable for an enterprise regulatory platform but more difficult for startup exploration. And at present the toolkit and examples are immature and much harder to set up and work with than competitive offerings. There are no use cases in cleantech for NEO yet that I’m aware of. This is another outlier, as it isn’t really blockchain at all. IOTA is focused on providing a distributed, secure ledger, and cryptocurrency for micropayments and data interchange between IOT devices. It has something it calls the tangle, which is a forking tree instead of a chain of blocks. Assuring integrity of the transaction set doesn’t use proof-of-work, proof-of-stake, or one of the delegation or centralization patterns, but instead has each IOT device validate two other transactions somewhat randomly as it adds a transaction to the edge of the tangle. The transactions it validates don’t have to be upstream of it, so it does create validation pointers between branches, hence the tangle. Other than that, however, it’s a directed acyclical graph, which is a painful way of saying it’s a tree that never loops back on itself. As a result of the approach, there are no server nodes in the architecture, just a bunch of edge devices rapidly building out the tangle. Nodes can maintain subsets of the tangle for their own purposes. As the validation mechanisms are encoded in firmware and only validate or create three transactions, performance is high, and initial testing is seeing fairly high transaction volumes already. That said, this is definitely a work-in-progress and it’s unclear if it is really solving a problem effectively or appropriately. I agree with a point-of-view by Nick Johnson published in September of 2017. It has made some questionable choices, which from the outside appear to be the result of preceding academic work rather than good architecture. Johnson points out something that scared me when I saw it separately, which is that it has rolled its own cryptography algorithms. This is a fundamental fail of security, so much so that it’s a basic precept that you don’t do it. He goes on to point out that it has implemented ternary instead of binary algorithms to only academic benefit. Unsurprisingly, it has had at least two major security failures that I’m aware of, and it isn’t in production yet. It’s not ready for prime time and won’t be as long as it continues to roll its own crypto, in my opinion. From a usage perspective, it’s important to enable communication between IOT devices, but it’s deeply unclear why they need payment between IOT devices. The use cases I’ve seen written up don’t understand the business domains that they are talking about, for example transit fare payment. And it’s unclear that IOT devices need a distributed ledger for sharing information. To my eyes it appears to be an overly complex technology solution in search of a problem. However, Microsoft and others are working with them, so others have faith, even though I don’t see the value proposition yet. Another interesting thing about IOTA is that it isn’t a distributed application program. There’s no real mechanism for it. Among other major challenges, figuring out the order of transactions which equates to the order of programmatic instructions is really tough in the tangle. It’s possible to approximate the order through time, but it’s not inherently present in the solution. IOTA is also behaving oddly with the opensource community, which might challenge it in the future. With the major security problem last year, at one point it announced that it was intentional so that it could backdoor projects that it didn’t approve of. Once again, a security red flag as well as a red flag to the opensource community. There are no cleantech use cases that have emerged, but IOT includes lots and lots of cleantech devices from smart meters to wind turbines, so if they find a strong value proposition, they may show up in the space. Ripple is a highly performant blockchain implementation with its own internal currency, but it’s very specifically targeted at international bank monetary exchanges. Unsurprisingly, fintech is a huge focus of a distributed ledger. Ripple’s solution is very clean, in that it uses the Ripple currency only as an interim value store between two foreign currencies. This means that the Herstatt risk isn’t present due to the rapidity of moving into and out of Ripple. It’s also not a smart contract or distributed application platform. It’s architected to moving money between two different currencies as efficiently as possible across geographic boundaries. It’s fully aligned with Sarbanes Oxley II and the principals and their advisors have deep financial industry backgrounds. They know the space and picked a high-value target. They aren’t alone in the space of course. IBM, unsurprisingly, is in this space and partnered with Stellar. There are no cleantech specific applications of Ripple, but cleantech is fundamentally a business, which means that its very likely that a fairly high amount of cleantech money has already transited Ripple. This project is working to build an operating system for blockchain, not just a blockchain itself. They want to displace Ethereum as the primary platform for other coins and applications completely. It’s hard to judge what it will actually deliver out of this project, but its goal is highly effective smart contracts, strong generalization, and good scalability with the other benefits of blockchain. Ethereum delivers the Ethereum Virtual Machine, but it’s relatively limited in what it does. EOS wants to recreate its capabilities but add a bunch of built-in, well-architected support for data structures, roles and responsibilities and the like. Right now, people building applications on Ethereum have to create all of that from scratch or add it externally from libraries. This adds complexity and time to the process. There are a couple of red flags around EOS, of course. One is that it is quite open about being a Cayman Islands entity. The company isn’t interested in abiding by tax laws or global regulation. The company has promised to use the money it’s raising to build the infrastructure that it has defined, and release the source code to opensource when it’s ‘done’, but this is not a traditional opensource or closed source project. And it makes no bones about keeping all of the money it raises and using it for whatever they want. It isn’t creating and funding a foundation to persist EOS as most of the rest of the examples have done. EOS barely exists at present, so there are no cleantech use cases yet either. But if it achieves its promise, it could become a major blockchain operating system which accelerates innovation in this space. This entry is interesting for multiple reasons. The first is that one of its founders has a long history in cryptocurrency as a founder of the Mt. Gox exchange, then Ripple, before founding Stellar. The second is that it is an open source, public, permissioned version of Ripple from a functionality perspective. It’s purpose is to bank the unbanked — a standard concern in the cryptocurrency space — and to allow mobile microtransactions, especially in the third world. That said, its valuation in April of 2018 was over $4 billion USD, and IBM and Stellar announced a partnership in October of 2017 for Asia Pacific foreign exchange in competition with Ripple. Stellar is very fast and very inexpensive to transact and run smart contracts as a matter of design, but that speed comes in part from a more limited, non-Turing complete smart contract language. It’s still a suitable platform for new applications of various types, but more of the capabilities have to be externalized into other components, whether different blockchain technologies or non-blockchain technologies. As any blockchain technology is only a component in an architecture, this merely means that the responsibilities are assigned differently. It’s a mature blockchain solution, but no specific cleantech solutions are based on it at present. Blockchain and cryptocurrencies for cleantech are a rapidly evolving space. This is a snapshot of a moment in time. 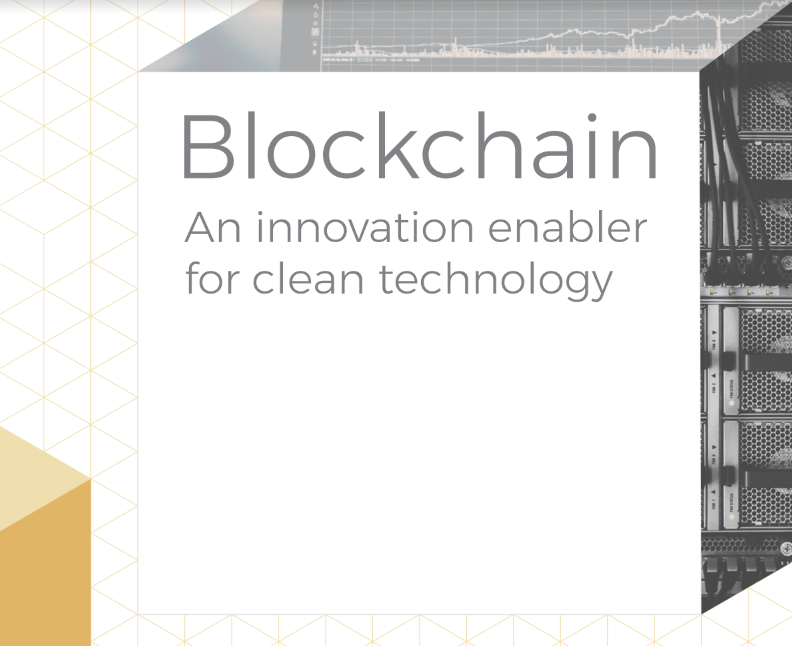 It’s safe to say that cleantech is going to involve blockchain and similar distributed ledger approaches. And it’s also safe to say that each of the technologies and approaches represented here have better and worse uses. If someone tells you that the answer is only one of these, then you can be pretty sure that they are enthusiasts, not architects.